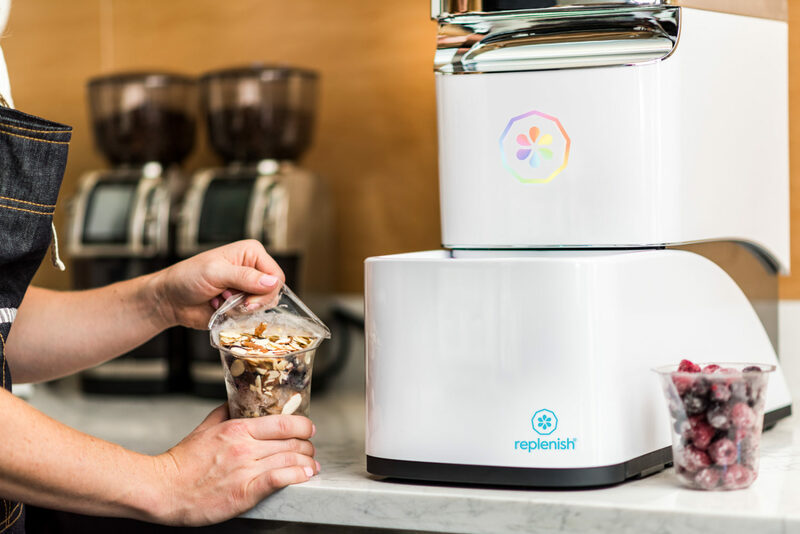 Replenish Cups™ arrive at your coffee shop, cafe, or business — conveniently filled with a delicious variety of hyperfresh fruits, vegetables, seeds, and nuts—all flash-frozen at peak ripeness to preserve their optimal, fully-developed vitamins and nutrients. No more needing to manage complex ingredients, training, and supply chain. work flawlessly with the Replenish® Blender. 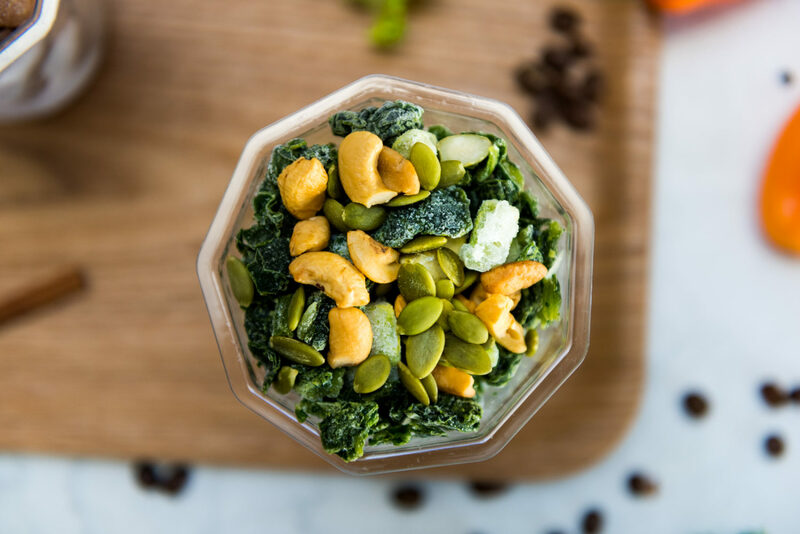 Replenish yourself with nutritious, plant-based, vegetarian options. These healthy cups replace fatty dairy & processed sugars with coconut, cashew, and almond milk, as well as raw honey and dates. Chia, Goji berries, and Psyllium husks—Replenish Cups casually demonstrate that natural ingredients make you feel and function better than artificial ones. Hyperfresh is better than fresh. Replenishing yourself with fruits and vegetables on a daily basis prevents diseases and helps maintain good health. Unfortunately, we consume most of what we call “fresh” produce several days to many weeks after it’s been harvested—by which time it’s experienced substantial nutrient loss. 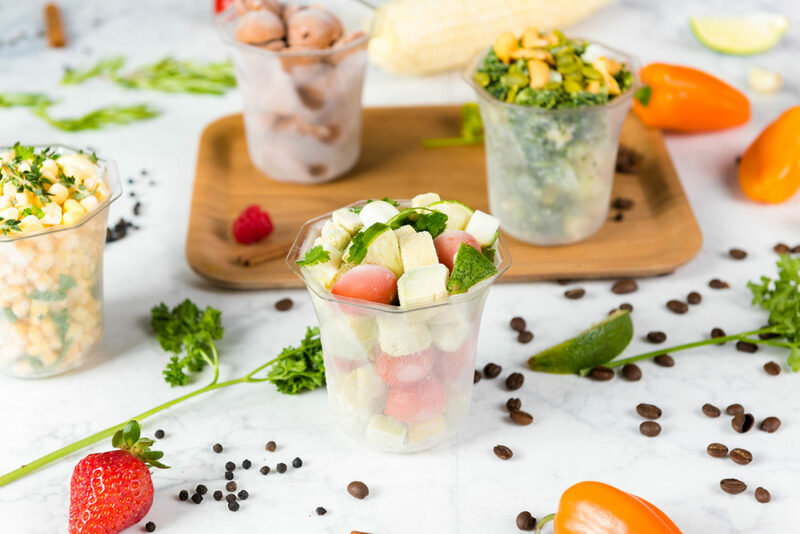 By flash-freezing all natural fruits and vegetables at their prime ripeness, Replenish Cups halt spoilage, prevent pathogens, and preserve key nutrients. Freezing food was used by tribes in cold climates for centuries. By freezing ingredients, we avoid using the all-so-common emulsifiers, preservatives, synthetic additives present in most food products. The only process we use to preserve food is cold temperature. Live cultures and delicious mango make a great afternoon snack. A refreshing immunity booster packed with greens. Bold berry flavors without a sugar crash. Peanut butter, banana, almonds, and cinnamon. This is the perfect breakfast or post-workout fuel. Start your day with a super berry.